The ClearColi Expression Technology is a recombinant expression platform based on strains of Escherichia coli (E. coli) that are engineered to minimize human endotoxin signaling. Patents, strains (including derivatives and progeny) and other materials related to the ClearColi Expression Technology and licenses for its use to express and/or clone products are owned by Research Corporation Technologies, Inc. (“RCT”), Tucson, Arizona. Lucigen Corporation (“Lucigen”) has a license from RCT to sell the ClearColi Expression Technology and related information (collectively, “ClearColi Kits”) to third‐parties for non‐commercial research purposes only. A separate license is required for any commercial use, including use of the ClearColi Kit for research purposes in product development, product production and/or product improvement. Before using the ClearColi Kit, please read the license agreement described below. If you do not agree to be bound by its terms, contact Lucigen within 10 days for authorization to return the unused ClearColi Kit to receive a full refund. If you do agree to the terms, please visit https://clearcoli.com/registration/ and enter the requested registration information. Lucigen grants you a non‐exclusive license to use the enclosed ClearColi Kit for non‐commercial research or evaluation purposes only. The ClearColi Kit is being transferred to you in furtherance of, and reliance on, such limited use license. You may not conduct any reverse engineering of the ClearColi System or use the ClearColi Kit for any Commercial Purpose (as defined below) without a license for such purpose from RCT, Tucson, Arizona. “Commercial Purpose” means: any use of the ClearColi Kit or ClearColi Products (as defined below) in a Commercial Product (as defined below); any use of the ClearColi Kit or ClearColi Products in the manufacture of a Commercial Product; any use of the ClearColi Kit or ClearColi Products in the performance of services for third parties; any sale or other commercialization of ClearColi Products; any use of the ClearColi Kit or ClearColi Products directly in the clinical development, improvement, or GMP manufacture of a Commercial Product; or the filing or preparation of any patent application claiming or describing, in whole or in part, the ClearColi Expression Technology, any ClearColi Products, or any Commercial Products. 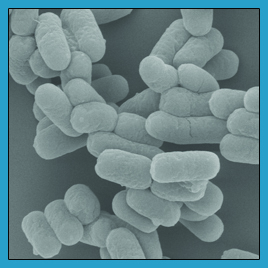 “ClearColi Products” means products (including, but not limited to, proteins, peptides and DNA plasmids) expressed with the use of the ClearColi Kit, or with the use of any ClearColi strains (including derivatives and progeny). “Commercial Product” means any product intended for sale or commercial use. Commercial entities and non‐profit entities engaged in commercial activities may conduct their research and evaluation for twelve (12) months at which time this license automatically terminates. Commercial entities and non­profit entities engaged in commercial activities will be contacted by RCT during the evaluation period regarding their desire for a commercial license. Access to the ClearColi Kit and ClearColi strains must be limited solely to those officers, employees and students of your entity who need access to perform the above‐described research or evaluation. You must inform each such officer, employee and student of the provisions of this license agreement and require them to agree, in writing, to be bound by the provisions of this license agreement. You may not distribute the ClearColi Kit or any ClearColi strain contained herein or in the ClearColi Kit (or any derivative or progeny thereof), to others, even those within your own entity. You may only transfer modified, altered, or original ClearColi strains or material from the ClearColi Kit to a third party following written notification of, and written approval from, Lucigen and RCT so that the recipient can be properly licensed. You may not assign, sublicense, rent, lease or otherwise transfer this license agreement or any of the rights or obligations hereunder, except as expressly permitted by Lucigen and RCT. Research Corporation Technologies, Inc., 6440 N. Swan Rd, Suite 200, Tucson, Arizona 85718. Email: csouvignier@rctech.com, Tel: 520‐748‐4462, Fax: 520‐748‐0025.